As part of the effort to Divert and Capture microplastics that are getting into Georgian Bay, Georgian Bay Forever is helping communities and individuals do shoreline cleanups to pick up litter. Most litter on shorelines is plastic - which breaks into tiny pieces or microplastics through weathering. These then get into our water and the aquatic food chain. 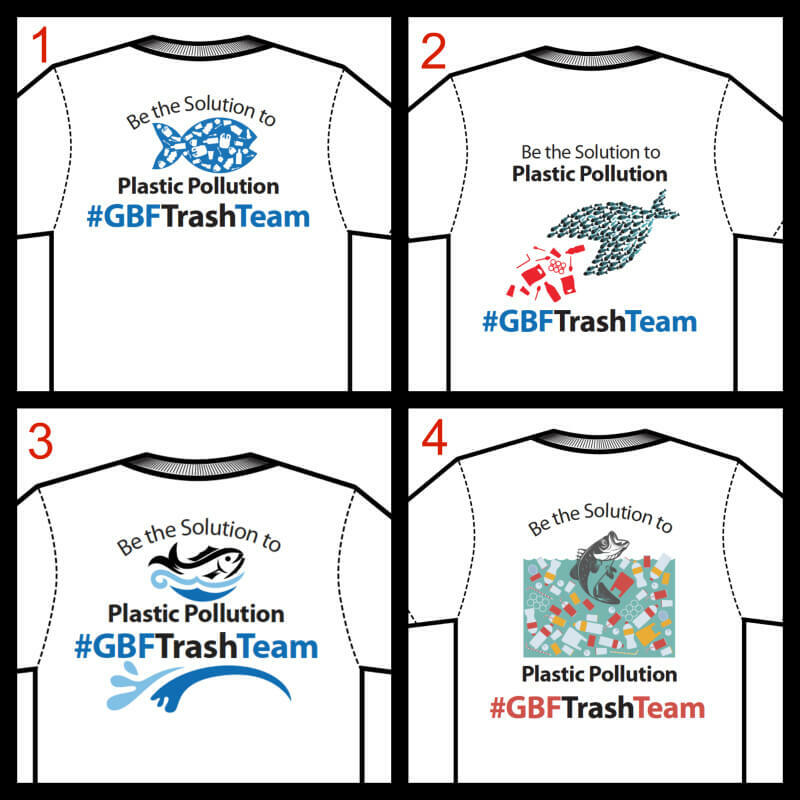 Help us decide which logo dedicated #GBFTrashTeam volunteers can wear. * 1. Which logo image do you like the best? If you are on a SMARTPHONE, turn it sideways/horizontal. * 2. Which logo best represents the need to clean up plastic litter because it is a risk to animals? If you are on a SMARTPHONE, turn horizontally or sideways.